Sorry for the well late write on Sew Up North 2016, as you can tell I have a new blog! Well where do i begin?! 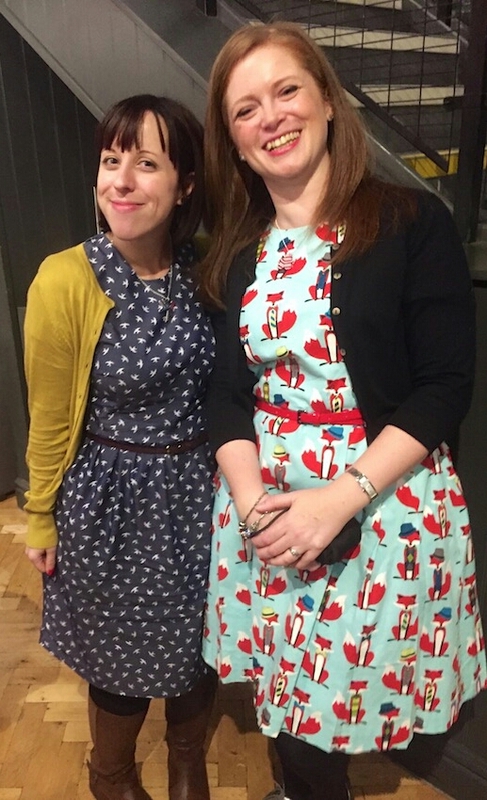 What a fabulous Day had by all for Myself and Becca’s 1st Sew Up North Sewing Meet up! Sew many People!We have taken over Costa Coffee! Credit to Becca aka RedWSews for the photo! As me being me I was having sooo much fun, I had forgotten to take any pictures!! 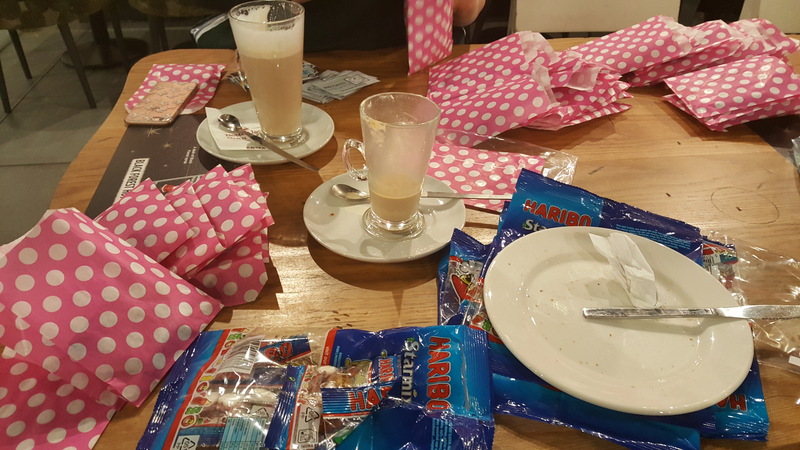 So we all meet at Costa Coffee, Well I arrived nice and early to get these little goody bags ready with the help of Hayley and Becca. Then we went on to tackle the Fabric Shops of which of course B and M Fabrics were our 1st port of call! Now I’m not entirely sure what i was talking about at that particular moment in time but the look on my face is hiliraious!! But I’m sure I was keeping Alice and Kate entertained! Then of course we had all split into little groups as there were loads of us! Amy aka Love Sewing Editor (OMG!) shown us a great place to eat They did Posh Fish Finger Sarnies Yas! – Both myself and Becca can say we was in the ‘Cool’ gang! Thanks to Amy for posting this pic of us all! Then we headed up to Fabrication, where lots of sewers were already gathering. They had beaten us to it lol! The Fabric and Pattern Swap had already commenced! As you can tell by the photo it def got a bit busy down there! We then got onto the Raffle, where we had lots of generous prizes from Minerva Crafts, GirlCharlee, Sew Essential and thats just to name a few! We had raised a massive £217 from the Raffle for The Yorkshire Air Ambulance, thank you everyone that bought a ticket! Now here is my Day Dress by The Avid Seamstress that i made especially for the day! I Pattern test for Lisa and she kindly provided me with this Pattern, Thank you! I used the ever so gorgeous Swallow print Chambry from Minerva Crafts. This is a fantastic pattern to sew up, Lisa shows you an great way to get perfect gathers using elastic!! I will be definitely doing that nice little trick from now! :). I didn’t need to make any adjustments to the Size 3 that i cut out which is fantastic as normally with other Pattern Companies i find that i need to make an narrow back adjustment but not for this fab dress so it was a good job that i made a toile from some old bedding to make sure it fitted ok! Watch this space as we are planning a Sew Up North 2017!! Hooray for Sew up North 2017. Can’t wait ?